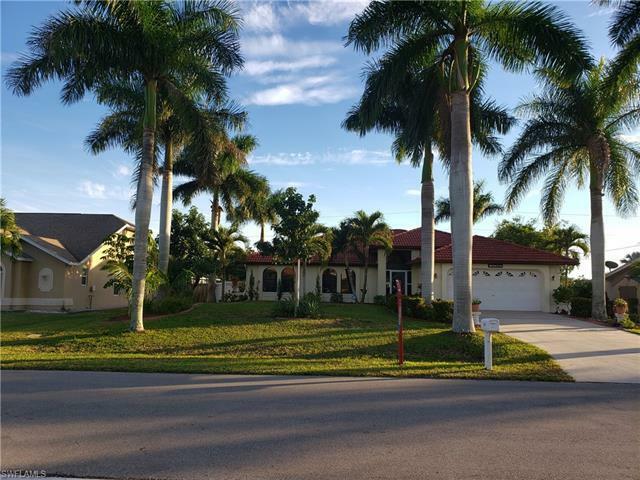 You will love this Elegant home offering soaring ceilings, open concept and mature tropical landscaping. Right in your own backyard you have banana and mango trees. This fabulous furnished home offers hurricane windows and sliders, tile roof, updated electric, updated plumbing, 2015 A/C, completely tiled inside the home and on the large lanai. Rich finishes in the kitchen with granite counter tops. Sit by your fireplace on a chilly evening. The list keeps going with so much to offer. Plenty of room in the back yard to a pool to this wonderful home. No one will need to walk through the home, a pool bath is already there for your guests to use. Assessments paid for, come take a look.